Auditions have been held for the fourth edition of reality show Big Brother Naija (BBNaija), based on the pioneering format owned by Endemol Shine Group. On February 1 and 2, hopefuls auditioned in eight locations across Nigeria: Lagos (DPodium Events Centre, Lekki), Abuja (MultiChoice Office, Maitama), Port Harcourt (Hotel Presidential), Calabar (Venetian Arena), Warri (Deluxe Garden Suites), Ibadan (Mauve 21 events center), Benin (Uyo Grand Event Centre) and Enugu (Oakland Hotel and Park). More than 6,000 people took part in Lagos, while a total of 13,000 participants were counted across all eight cities. This year’s show will take place after Nigeria’s general election later this month and will be hosted by media personality and fashion influencer Ebuka Obi-Uchendu, who has fronted the show previously. The winner of BBNaija 2019 will go home with N45m (US$124,000) as well as other prizes. This year’s edition of the show is notable in that it is being produced in Nigeria, as revealed by John Ugbe, CEO of pay TV broadcaster MultiChoice Nigeria, the company behind the programme, at a media briefing last month. 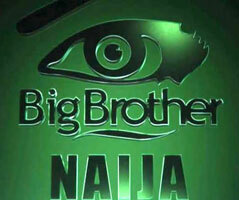 Previous editions of BBNaija were produced in South Africa.